A “puppet master” behind the “almost perfect” crime of smuggling 250kg of drugs into the country has been sentenced to 14 years in prison. Yixin Gan, 35, was last month found guilty of two counts of importing a Class B drug but acquitted on a third count by the jury, who deliberated for just a few hours at the High Court at Auckland. NZ Herald reports she was also convicted of possession of a Class B drug for supply in connection to the October 2013 importation, where detectives found 250kg of a medicine containing pseudoephedrine, one of the main ingredients needed to cook methamphetamine. The jury also heard evidence about how the VIP gambler at Auckland’s SkyCity casino had about $7 million of unexplained cash deposits into multiple bank accounts. Today at her sentencing in the same court, Crown prosecutor Scott McColgan described Gan as the “mastermind” of a sophisticated smuggling operation which exploited how goods are freighted from China to the Pacific Islands, through New Zealand. The method was so clever, McColgan said it would not have been discovered by police had Gan not been in contact with two others, Van Tran and Da Wen Shao, already under surveillance. On behalf of Gan, defence lawyer Graeme Newell said his client was at the same level in the syndicate hierarchy as Tran and Shao – but not higher. Her three young children are in China. “They will suffer the loss of their mother for a considerable length of time,” said Newell. In handing down the 14 year sentence – the second longest for Class-B drug offending in New Zealand – Justice Mathew Downs said Gan was motivated by profit and a conservative estimate of the 250kg shipment was worth $8.9 million. He rejected the argument that Gan was the same rank as Tran and Shao. Justice Downs also ordered Gan serve at least 60 per cent of her sentence before being eligible for parole, or eight years and four months. Gan is the last of more than 30 people who were convicted across four trials following Taskforce Ghost, an 18-month covert investigation which delved into Auckland’s underworld. The case was about pseudoephedrine, once the active ingredient in New Zealanders’ favourite cold and flu medicines, but now banned because of its part in meth-making. Pseudoephedrine can be extracted from a medicine widely available in China called ContacNT. A packet costs a few dollars but a “set” of 223g of pink granules sells for around $9000 on the black market in New Zealand. Bugged phone conversations, mainly in Mandarin and Cantonese, and covert surveillance dominated the evidence given to the jurors. The officer in charge of Operation Ghost, Detective Sergeant Mike Beal, told the High Court the investigation began when police became aware of “significant quantities” of pseudoephedrine coming into Auckland, then being diverted into drug manufacturing around the country. The decision was made to immerse an undercover agent called Joe Arama in the criminal underworld to build his own credibility and gain the trust of his target, Felix Lim. They rubbed shoulders in SkyCity and a friendship turned into a business arrangement. One recorded conversation, in May 2013, played to the court showed Arama was successful in posing as a drug dealer. Beal said they were talking about five sets of pseudoephedrine, which it seemed was half the amount Lim would normally sell. By tapping Lim’s phone, the police were able to identify his supplier, See Meng Hoo, and, in turn, his supplier, Van Thanh Tran. Through Tran, police also listened to the conversations of Da Wen Shao, also known as Tall Man. It was physical surveillance of these two men that led police to Gan. 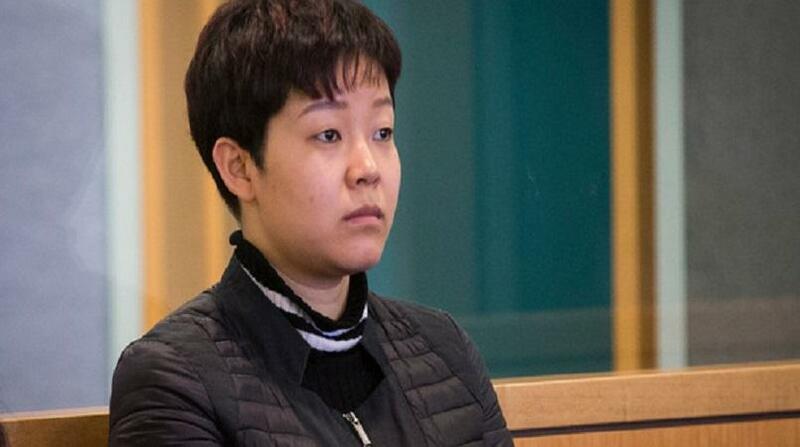 Tran was sentenced to 13 years and 8 months in prison, Shao nine years and four months. Both entered early guilty pleas. In his opening address, McColgan told the court Gan had “cottoned on to an almost perfect” method of smuggling the drugs into the country. She ran a legitimate business shipping food from China to the Pacific Islands, with a short stop in New Zealand. But because the shipments were shown as goods in transit, and therefore not technically coming through the border, the consignments were not inspected by Customs. Instead, the shipments – disguised as potato starch – were sent to the secure Customs-controlled area at Auckland airport until they were freighted to the final destination. “But what if you had an inside man in the Customs-controlled area?” was the question McColgan posed to the jury. The inside man was Mosese Uele, who ran a freight-forwarding company called Ezi World Cargo. Inside the Ezi World Cargo premises, Uele switched the ContacNT with real potato starch to be sent to Tonga. The boxes of drugs were put in a van and driven to a car park in Auckland, all while being followed by police. Uele was sentenced to five years and five months in prison, but has now been released. He was a Crown witness in Gan’s trial and told the jury he did not know what was inside the boxes of “starch”. He said he was paid $60,000 in a large brown envelope. “Did you ask why she paid $60,000 to swap 20 boxes of starch?” asked McColgan. “It wasn’t my business. My role was to swap boxes and get money. That was my only concern,” Uele replied.